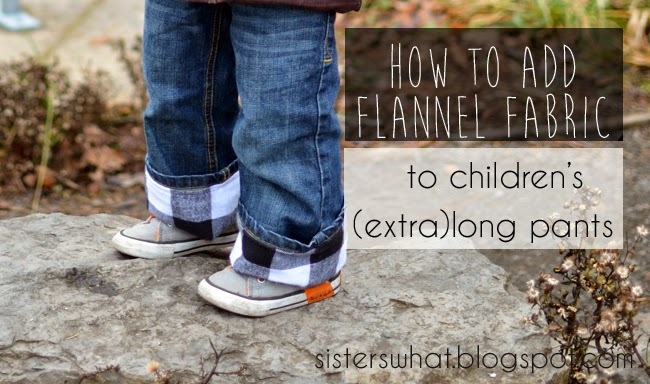 ' Add Flannel to Children long Pants - Sisters, What! 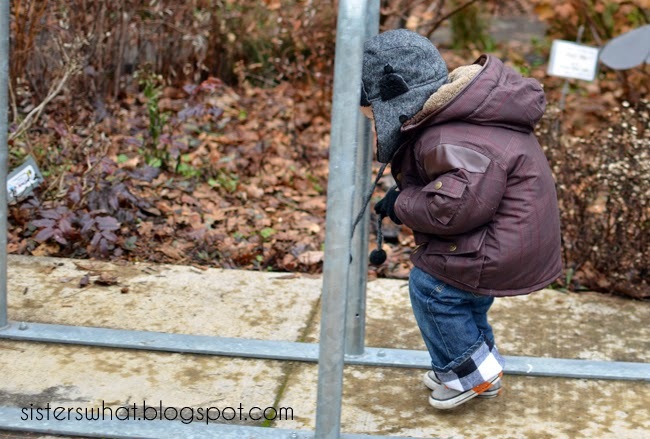 My little Captain Awesome is constantly growing and I just can't seem to keep up with him and his changing pant size. I want him to wear his pants as long as possible so I always have him wear a size or two bigger. 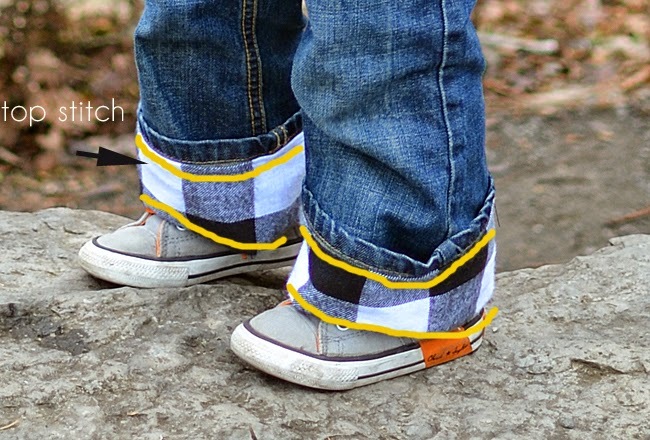 This works great because little kids pants these days can be cinched in at the waist. We also do the roll up at the bottom. It's crazy because these pictures were from Christmas time and he has already outgrown the need to roll them up. 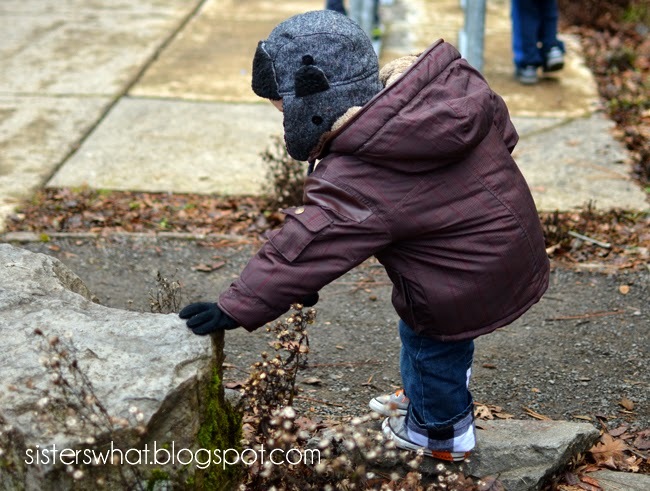 Seriously, he is just growing before my eyes!! 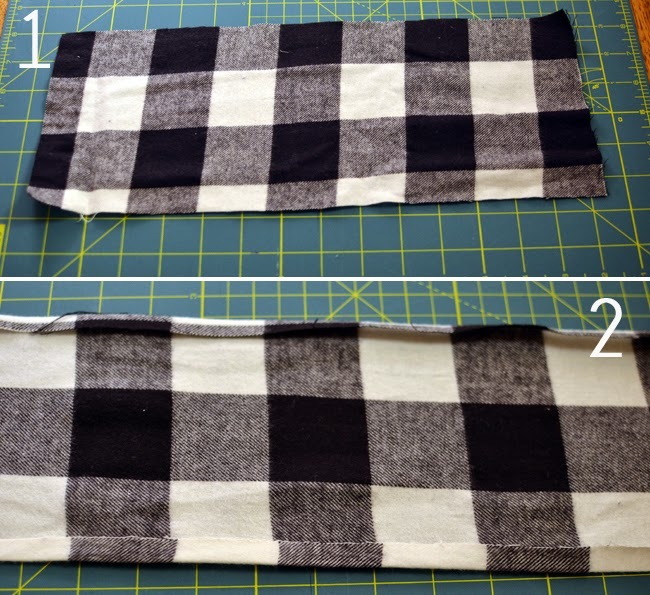 //2// fold 1/4 inch down and iron the top and bottom of the flannel piece. //3// right sides together, fold with the sides touching and sew each piece together. //4// with the wrong sides touch the insides of the jeans, top stitch the flannel to the jeans (see below). And your done. Thank you! I love this idea!! !